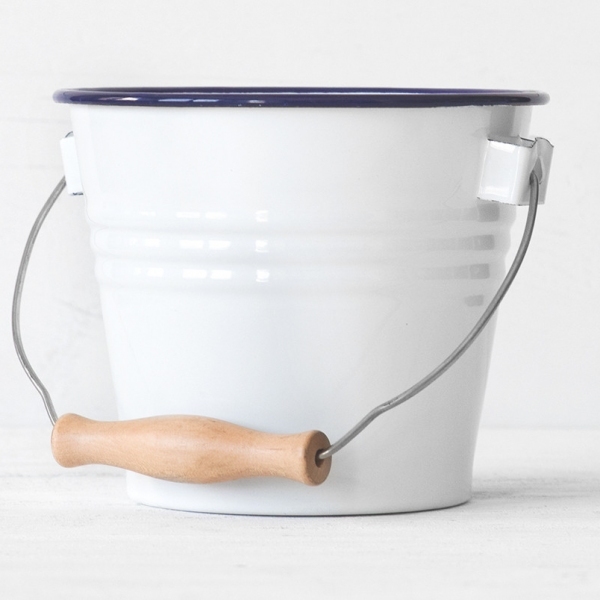 Our enamel pail with wood handle is an ideal alternative to traditional planters, or for use as a vase for your dining table centerpiece. Pail measures 5.5" tall with a base diameter of 4.75" and a top diameter of 6.75". Was $15, now 30% off.